Maybe, it was a walk down the beach or a romantic meal at a restaurant. Maybe, it was scuba diving in the Maldives, or skiing down the perfect powder in Toulouse. Maybe, it was just curled up in front of the couch, watching Netflix. However it happened, it all become a blur as that shiny precious stone sparkled in the aura of the words..."Will you marry me?" So, you have a date locked in and have started to work out some available function centres. What’s next? There are plenty of decisions you have time to work out, but there are some important decisions you need to make as early on as you can, especially if the wedding date is confirmed and finding a great wedding photographer is one of them. It is after all, the biggest day of your life! And it's important to you that your day is captured beautifully, professionally and all at a price you can afford. So what makes a good wedding photograph? How do you know what makes a good wedding photographer? And how can you tell if they are right for you? 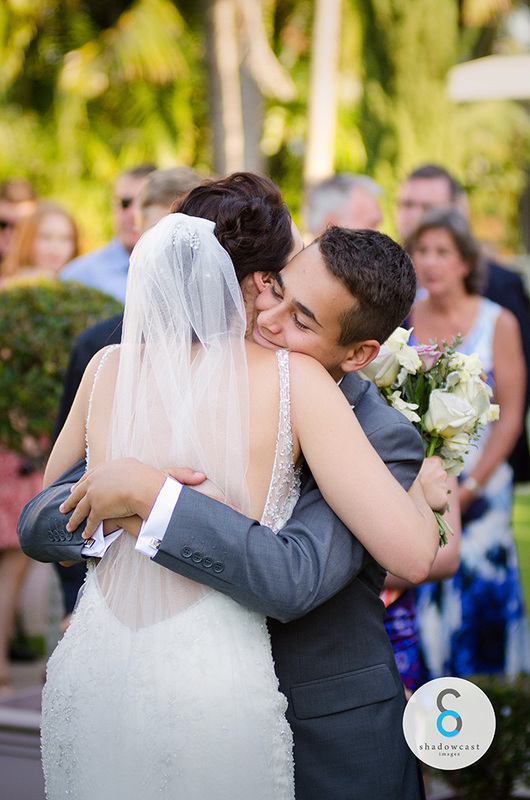 These are great questions and critical ones if your wedding photography is important to you. So to help you out we have listed 5 things that we believe are essential in finding the right wedding photographer for you. Two distinct styles of how photographers might like to present their work. These are not hard and fast rules by any many means, just part of the “style” a photographer may prefer. Viewing their portfolio is also a good way to determine the photographer's skill. Can they shoot at night with remote flash? Can they expose for the subject with the sun behind? Do they understand the basics? Rule of thirds, leading lines e.t.c. Look at different photographers images shot at the same locations, (especially handy if you already know where your ceremony and reception is) you will soon get an idea of what you like and who is better at doing it. Look at their websites and not just social media or google images. It can give a better guide as to whether they are consistently shooting high-quality shots and not just one or two that happened to go viral. Be realistic. If a photographer is offering an all-day shoot, will all images on USB, an album and a canvas for $800, then the disclaimer is likely in the fine print or the quality is not going to be up to snuff. If it sounds too good to be true, it most likely is. Negotiate. It is a very competitive industry. If you have a preference for one photographer over another but they don't quite offer everything you need. Then give them the right of reply. Let them know that you are deciding between the two of them. You may be surprised what you can bargain for! It's not enough to just have someone who takes amazing photographs. Sure, that's a big drawcard. But what cannot be understated is how well your photographer "fits" within your own personality and that of your Bridal Party. Their personality has to be agreeable with the both of you. Their professionalism, persona, drive and attitude are integral to having a successful shoot and an amazing fun day. Do they care about trying to get the best result for you? Are they rude? Are they flexible with time and a changing itinerary on the day? By meeting them in person you get a solid idea about all these things. By meeting up with them you get to have a first-hand account of what they are like, how they work and how interested they are to serve you. Remember that on the wedding day out of all the people that have been hired to make the day come together. The photographer will likely be the only one that will be with you the WHOLE day! It is so important that you get along with them. They must be willing to help you, listen to you, and be completely understanding of the emotional gravitas of the day and of the needs of the Bridal Party and the families. When you meet with them ask them about the things that matter to you most about the day. See how flexible they are with time constraints, and question how willing they are to compromise. In just one meet-up you will know how passionate they are, how helpful they are and whether they are worth the money. It is here at this meeting that you will get your best idea of "Bang for Buck"
One of the most common questions a photographer gets is "Do you hand over the images?" Even if the answer is "Yes" You may still not get what you expected because of a few misunderstandings. In the good old days it was much easier to define, as weddings were shot on actual negatives which either the photographer retained or the client possessed. But with modern digital processes, it is a little more complicated, as the photographer will almost certainly retain the camera RAW files (the modern equivalent of negatives) But can copy and distribute them in various ways so rights can either be shared, restricted or limited. So here are some quick things to check for that may have more or less importance to you. high quality file for print. Original camera resolution. Still looks good! Not suitable for print. Yet it comes from the image to the left which looks fine for viewing on screen. But since its resolution has been reduced, the quality drops significantly for cropping or printing. Some photographers may restrict the resolution of the images you receive. This may be to prevent you from getting a decent quality print if you ever try and get an enlargement. Therefore having to purchase a print or buy a high-resolution file through the photographer at a specified price. It's not an illegal practice and not unreasonable, so long as it is stated clearly. Often it is not however and is a case of reading the fine print. But many other photographers (such as ourselves) will provide the full high-resolution files. A watermark is usually a more or less visible text or logo that is added to the original image file. The most common form is the © photography studio written transparently across the image file. It's used a lot for online galleries, so if the image is shared around through various social media platforms and online. Then the photographer's rights as the image creator are protected and not duplicated without permission. Where it becomes important to you is if there is watermarking on the images the photographer gives to you. The catch may come later as an additional charge for removing the watermark. Personally, I don't think this policy is particularly ethical but it needs to be mentioned. Once again it should be stated in the fine print. Handy Tip! If you would like full access to your wedding images you could ask: "Do you provide the wedding images at full camera resolution with no copyright or watermarking restrictions?" 2 different styles of copyright watermarking. common on galleries. Make sure you you receive watermark free versions! Wedding photography is a high pressure, high stakes, once in a lifetime moment. There are no reshoots. Getting a friend, brother, sister or uncle to shoot your wedding in order to save some money is understandable and we come across it a lot! But you may want to evaluate what's actually involved and how important photography is to you, because we have also come across a lot of people who have done this and regretted it. It's not always down to the skills of your friend photographer either, it's realising how much of a momentous job it was and how it turned out a lot harder than was expected! I cannot stress enough how much the experience can count. Don't get me wrong, it's a fun job! And who doesn't want to spend a day taking beautiful pictures all day? But it is also a lot of work. Photography students and new graduates likely don't have a lot of experience just yet, but they may have had some formal training during their studies that would help to prepare them for the industry. If you are considering new grads and students just be mindful of this and make sure they are confident and have a good plan in place. After all, every wedding photographer at some point has to shoot their first wedding. If they have assisted professional photographers before or had experience being a second shooter then that's an excellent start. Photographers are a mixed batch. Not all are formally trained, and even if they are it's not a guarantee that they are better than all of those that are not. As I stated at the beginning some amateurs and hobbyists can be quite excellent indeed. But having a formal qualification such as a University degree or TAFE Diploma does ensure a high level of skill has already been met. Wedding photography can be a constantly changing environment of lighting, weather and time. A skilled photographer is far more adept at changing his shooting style and methods to suit that environment. Every portrait photographer hopes to shoot in the "Golden Hour." The hour before sunset. The sun is low in the sky and the light is warm, soft and subtle. You can't go wrong. But that's not what we always get. On the actual wedding day, the weather may be poor, it may be raining, or windy with less available light to shoot with than expected. Or it might be at Midday when the light is harshest and less flattering and all of that may change from sunshine to storms within minutes. A skilled photographer will have the technical skills to get the best result for any changing environment. Experience will help to discern what works best in any given location, especially if the photographer has photographed the location before. All of this means consistent, well exposed, amazing photographs even in a diverse range of locations and conditions. So that's it! This should get you an excellent head start in finding the right photographer for you. You may not get all the answers you seek, but with a little diligence and highlighting your priorities for what you would like in your wedding photographer, you will be well on track to getting amazing photographs of your wedding that you have always dreamed of!